Psiles Korfes (High Peaks) - Ε.Ο.Σ.Σ. 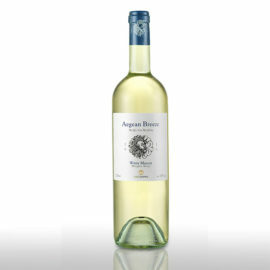 A wine with finesse , where the bouquet of fruity and floral aromas are expressed in a sophisticated manner. 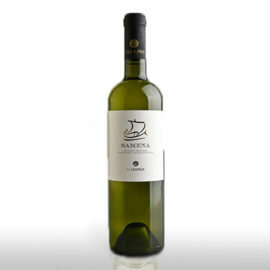 With a bright, light greenish-yellow color, it is a wine suitable for the most demanding wine lover. 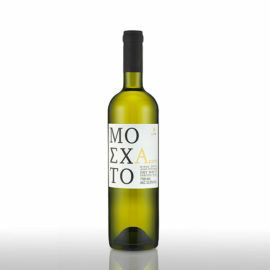 The White Muscat grape from which it is produced comes exclusively from dry-stone terraces in the best mountainous vineyards of the island and up to 800 meters altitude! Intense nose with the floral fragrances of the Muscat with impressive fruity references (melon, peach) and aromas of rose, apricot and lemon. In the mouth, the character of the Muscat is evident with delicate flavors and light, refreshing acidity with a long aftertaste. The fruity element dominates, followed by the floral notes of the variety (sweet rose). Psiles Korfes (High Peaks) is an aromatic, pleasant wine to be enjoyed at all times. It is an ideal match for elegant dishes, sophisticated and aromatic recipes from the Greek and international cuisine as well as seafood dishes and sweet and sour delicacies. It can also be served on its own, or as an aperitif with fruit or cheese.